Winter is a resting season for any garden and trees appear beautifully vulnerable with their exposed skeletons. 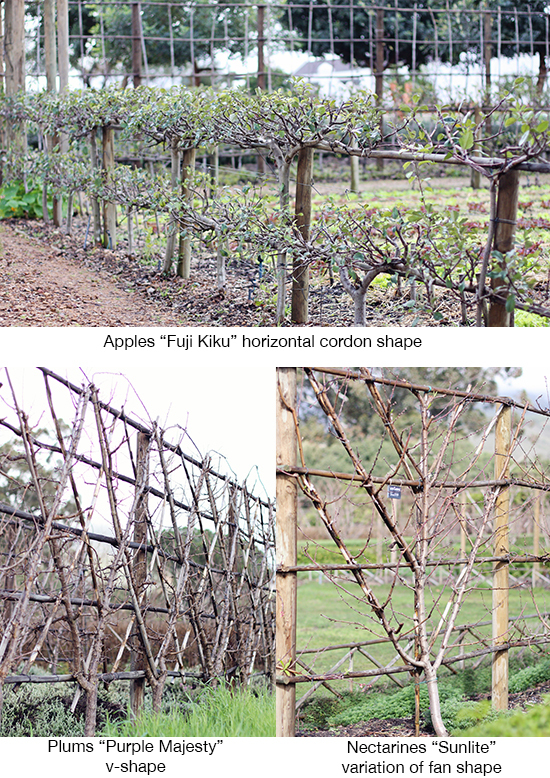 It’s in this time of the year that you will appreciate the ancient art of espalier the most. 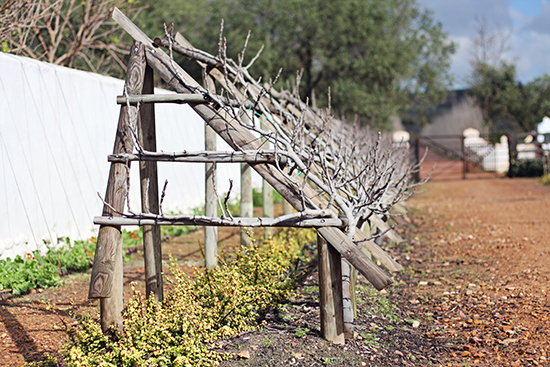 Espalier is a horticultural practice of manipulating a tree’s growth by pruning and tying branches to a frame so they will grow into a flat plane. The origin of this technique appears to have been started by The Romans, and refined into an art by the Europeans in the Middle Ages. After 4 years of meticulous pruning, our trees are beginning to show strong sculptural shapes. The figs and roses are also trained and shaped on a frame. 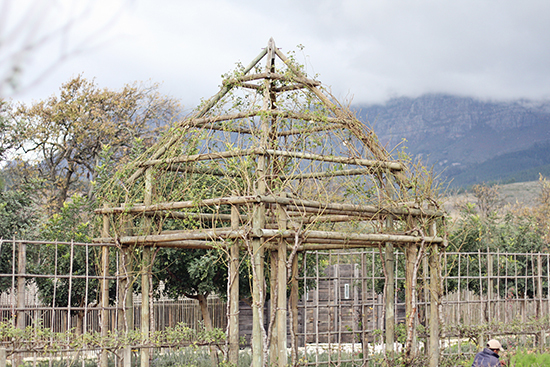 Espaliers are not only decorative, but also make harvesting easier and take up less space. We have a guided tour of the garden every day at 10:00. Booking is essential.